Canon Vixia HF R700 Video Camera Camcorder- 1536JK "PLEASE READ"
Details about Canon VIXIA HF R700 Full HD Camcorder (Black) SUPER GRAB DEAL! This camera was a disappointment when it arrived, no way could it work for my needs, it was so small, light, I figured it would take inferior pictures. I was walking a farm while someone talked 70 year old memories of being a farm hand on the property. But, it was to late to get something else so I used. OMG ... I got the most amazing footage from this camera. Crystal clear, VERY stable video as I walked rutted fields, He could be heard talking when he was ahead of me, next to me and behind me. Walked into a dark machine shed and when viewing the video later, I was able to identify everything inside the building yet when I was actually taking that shot, I could not see a thing, the building was almost black! I could not have been happier with the quality of my results. Thank you Cannon! I think this company needs a lesson in public relations! The camera works great, but in the description it was stated that it contained 32 GB of internal memory. Upon inspection I found the SD or memory card was missing. I ask the supplier to send me a 32 GB card . They replied that I should return the camera, but there would be a restocking charge of 20% plus I had to pay for shipping. 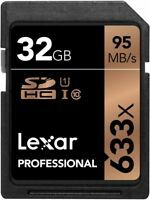 I purchased a 32GB card on Amazon for $18.00 and solved the problem. As returning the camera would have cost around $35.00, it was the best way to handle a bad situation. Would I deal with these people again?? Absolutely not! Best Value for the Buck in a Mini-Video CamCorder Machine! Excellent Quality HD Images! 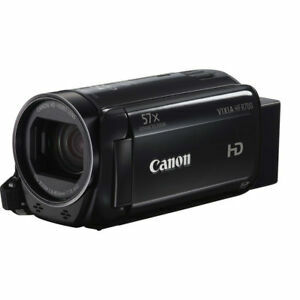 Nice and very compact video camera with a lot of advanced features at this price point. Don't know much about these cameras but the battery life seems to be exceptional and the sound quality is surprisingly good for on-board microphones. Navigation on the touch screen is reasonable intuitive once you have a few of the basic functions figured out. About the only fault I find in the camera is that the body is so compact that adult male size large hands may have some challenges, as I do, utilizing the zoom toggle. It is very small and located so that you do have to kind of tuck your finger to reach it. I suspect this is the case with all these compact video cameras but that is a tad annoying. I will probably see if I can figure out some way to put a larger contact area onto that button. Other than that issue I find absolutely nothing to not like about this camera.